Great for display and productions! 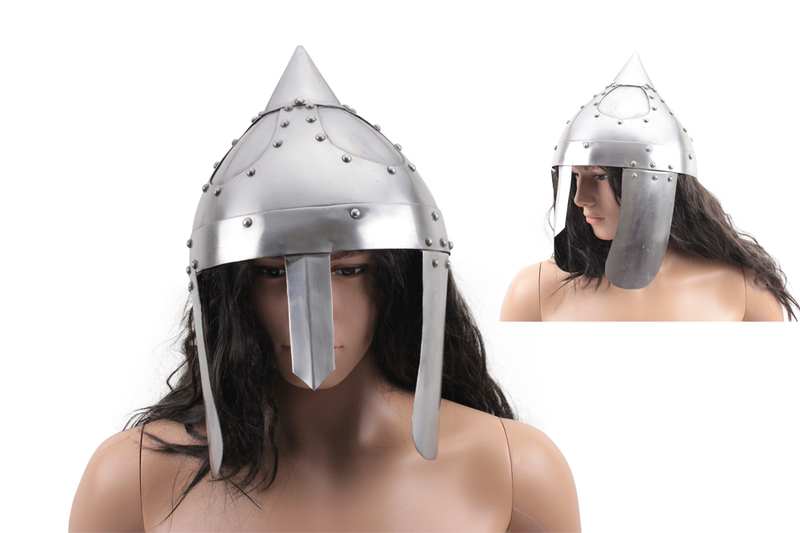 This replica Viking/Celtic helmet is perfect for production use, cosplay, and productions! It features 18 gauge steel construction will fit most adult-size heads.